Times have been tough at J.C. Penney Company, Inc. (NYSE:JCP) recently. The stock is down about 60% over the last year, and CEO Ron Johnson- who was backed by billionaire activist Bill Ackman, head of large J.C. Penney Company, Inc. (NYSE:JCP)shareholder Pershing Square- recently departed the company after his turnaround plans were unsuccessful. In fact, in its last fiscal year the $3.6 billion market cap department store experienced a 25% decrease in revenue, including a 28% fall in the fourth quarter of the year, and operating losses of about $1 billion even after adding back restructuring and management transition charges. J.C. Penney Company, Inc. (NYSE:JCP)’s stock price also may have been hit by speculators assuming that Pershing Square will be forced to sell shares in order to maintain its short position in Herbalife (NYSE:HLF). Check out more stocks Pershing Square owns. Now billionaire George Soros’s Soros Fund Management has reported a position of over 17 million shares in J.C. Penney Company, Inc. (NYSE:JCP), or 7.9% of the total shares outstanding. We track quarterly 13F filings as part of our work researching investing strategies (we have found, for example, that the most popular small cap stocks among hedge funds outperform the S&P 500 by 18 percentage points per year on average), and so we can see that Soros’s fund did not own any shares at the beginning of this year. 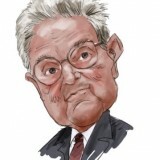 Find Soros’s favorite stocks from the end of December. The stock is currently up about 7% on the news, as the market reacts to Soros’s vote of confidence and some shorts cover. J.C. Penney Company, Inc. (NYSE:JCP) had been widely shorted, with 37% of the float held short, as many bears expect the company to be forced into bankruptcy. We’ve mentioned that there were steep operating losses last year, before even considering the retailer’s interest expenses; cash flow from operations was also slightly negative. Wall Street analysts are expecting something of a delayed turnaround: $2.40 in losses per share this year, and then under $1 per share in losses for the fiscal year ending in January 2015 (with a small number of analysts even calling for profitability). We’ve already named Pershing Square as a major shareholder in J.C. Penney Company, Inc. (NYSE:JCP)- Ackman’s fund looks to own close to 20% of the company as of the most recent data. Our database of filings shows that Glenview Capital, managed by Larry Robbbins, increased the size of its position by 64% during the fourth quarter of 2012 to a total of 7.3 million shares (find Glenview’s favorite stocks).